Wikipedia defined a Bill Of Materials, BOM or product structure as "a list of the raw materials, sub-assemblies, intermediate assemblies, sub-components, parts and the quantities of each needed to manufacture an end product". Most BOMs are expected to report intelligence about materials, suppliers, part numbers and other attributes of a design's components in a way that is already specific to a certain domain, such as building or machine design or electronics, etc. AutoCAD or progeCAD, on the other hand, are seen as more general-use design standards. These programs are potentially suitable for any of those specific domains when given little extra thought from the user. To begin with, both progeCAD and AutoCAD support the use of external and internal blocks in a drawing file. Blocks are drawings which can be re-used multiple times in another larger drawing. For example, say we use the same fastener several times in a drawing. Rather than actually drawing the same fastener detail from scratch every time it is needed in a view, our fastener block can be inserted as a reference entity everywhere we want the fastener to appear, saving both data space and drawing time. And if we have a 3D block of the fastener, we can also re-use that block again in all of different views of our drawing. Changes to the block will be reflected everywhere it is used in the drawing. Blocks also offer a great way to represent design components that we want reflected later in a bill of materials. In progeCAD 2016, internal blocks can be made "annotative" so that they scale automatically according to the annotation scale of the viewport. Custom attribute information can be inserted using the ATTDEF command while in the block's "local editing" workspace. 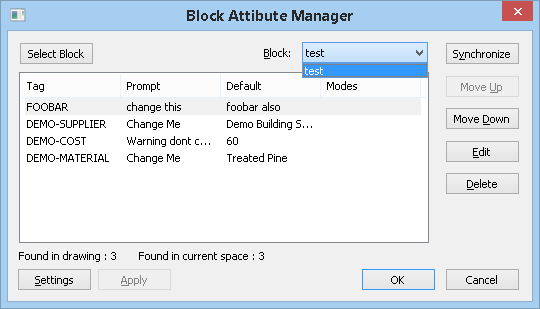 A block's custom attributes can be viewed and edited using the BATTMAN command (for ATTEXT they need to be checked with DDATTE - see reason below). Once we click next, we are offered a variety of output formats, including tab- or comma- separated CSV file which we can then import into a spreadsheet for final touches or incorporation into a larger existing product structure list. 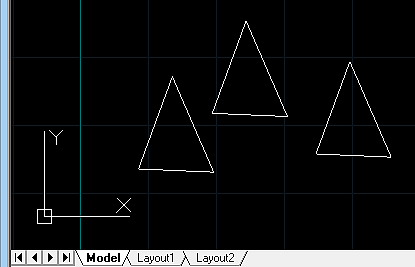 We can also output the attribute data to a drawing table. progeCAD has supported TABLES in DWG since version 2014. 0 Literal zeros - i.e. character fields have no decimals see below. Which means "character field, maximum length 60, no decimal places"
NOTE: Creating old ATTEXT templates is evidently a bit tricky. A faulty template file will result in 0 records extracted. It is also reported that these templates have a couple of obscure rules when used in AutoCAD. Each record must be followed by a full DOS carriage return, including the final record (so, no blank lines in between records - but a final blank line with no spaces in it). At least one custom attribute must be in the template otherwise it will silently fail. Because of these problems we recommend using EATTEXT instead of ATTEXT. 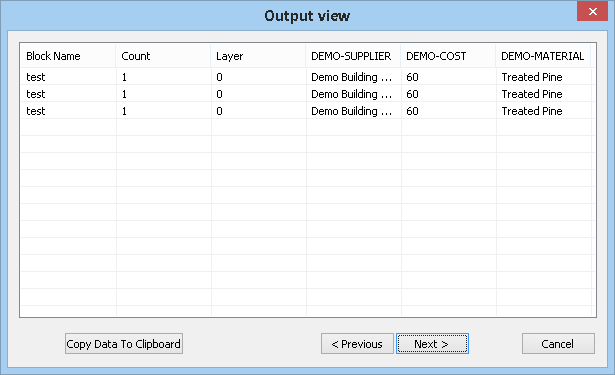 These value can be inserted into a spreadsheet or other software for processing into the final Bill Of Material.